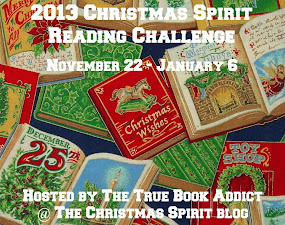 The holidays are fast approaching, so I've decided to join in the Christmas Spirit Reading Challenge hosted by Michelle at The Christmas Spirit. The challenge started last Friday and runs through January 6. I'm signing up for a combination of the Mistletoe Level (read 2-4 Christmas books) and Visions of Sugar Plums (read Christmas books with your children). Last year, I actually won a set of Christmas books, and I believe it was from this challenge. So I have a stack to choose from. Here's what I'm thinking about reading, but I reserve the right to change this up as I go! I'm not going to list out my children's holiday books since there are so many, and I'm sure we'll be getting more from the library this year! I will keep a running list, though. I'm sure it will be quite long by the time we finish the challenge in January.